A box of Super Cereal, a fortified blended food, produced in Kigali, Rwanda. Government is currently conducting investigations into circumstances under which three people in the districts of Napak and Amudat, both in Karamoja sub-region, North Eastern Uganda, died allegedly due to food poisoning, after consuming food supplied by the World Food Programme, a United Nations (UN) agency. A total of 262 people have been affected since March 12 with symptoms of mental confusion, vomiting, headache, high fever and abdominal pain. The complications and subsequent deaths happened after the victims consumed Super Cereal, a fortified blended food distributed by WFP for prevention of malnutrition. Government has since suspended the supply of the food, pending investigations. SoftPower News investigations desk now reliably reports that the suspended food is produced in Rwanda and then supplied to the World Food Programme. Launched on May 31, 2017, Africa Improved Foods (AIF) is Jointly owned by Rwandan government and a consortium of Royal DSM, Dutch development bank (FMO), DFID Impact Acceleration Facility managed by CDC Group plc and International Finance Corporation (IFC), the private sector arm of the World Bank Group. The nutrition company is located in the Special Economic Zone in Kigali, Rwanda, according to the information on the company’s website. It produces relief foods for the World Food Programme that are distributed to the most vulnerable populations in refugee camps in Kenya, Uganda, Somalia and South Sudan. The Rwandan Foods company also makes other brands; Nootri Mama, Nootri Toto and Nootri Family for all age groups. The sacks of the suspended food that has so far led to the deaths of three people in Karamoja, have writings which indicate that the fortified food is a product of the Rwandan company. 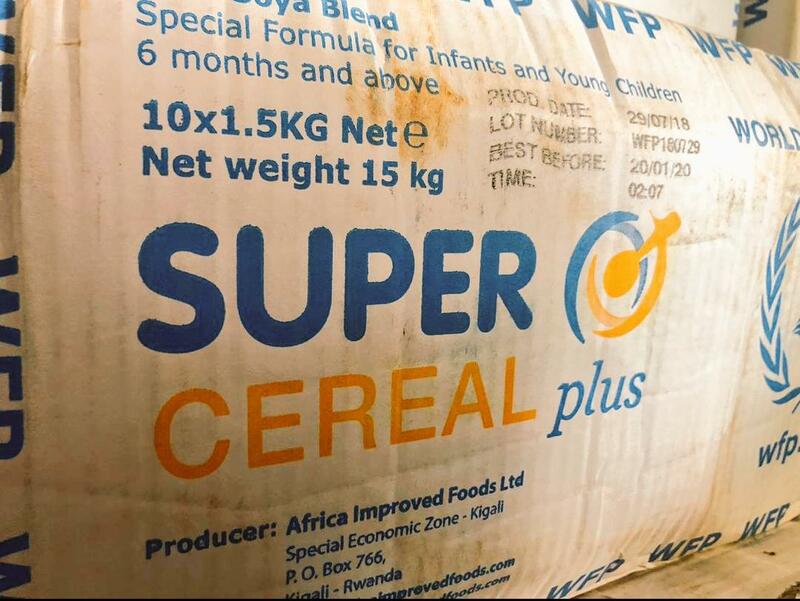 The WFP has provided Super Cereal to Uganda for more than 10 years. The current coverage of Super Cereal is at 252 locations in Karamoja in addition to many sites across the 13 refugee hosting districts. Refugees have received Super Cereal in the general food basket and no alleged case of food poisoning has ever been reported. 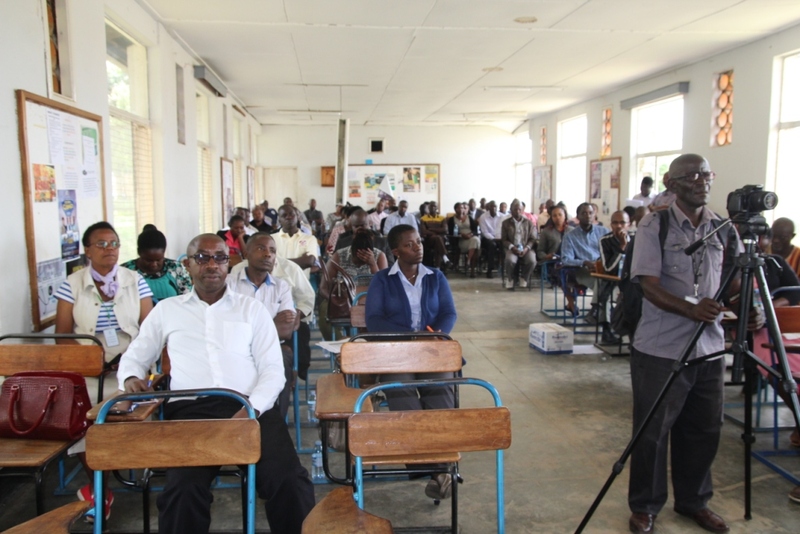 Refugees are now concerned that the deaths due to alleged food poisoning by a product produced in Rwanda is happening at a time when many Rwandan refugees have been expressing concern about their colleagues kidnapped from Uganda and taken back to Rwanda. Some of the Rwandan refugees living in Ugandan refugee camps that SoftPower News has interviewed say their colleagues who have been forcefully repatriated to Rwanda have been massacred while others’ whereabouts are not known. Given that background, some of the refugees are worried that the now suspended food which is always distributed to all refugee settlements in Uganda, could have been a well orchestrated move to eliminate them. “We have been listening to Radio about the arrest of Rwandan agents in Uganda. 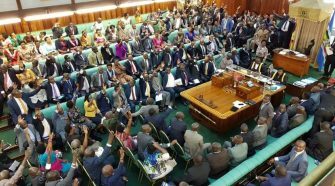 If they find that kidnapping us from Uganda has become difficult, they can resort to other means,” a refugee told SoftPower News. Another one said they fear eating while others have resorted to prayers. This news site has made various reports about the plight of refugees and the risk they daily face of being abducted by the Rwandan state elements and illegally repatriated to Rwanda. In 2018, SoftPower News exposed the Rwandan racket that commanded operations in Uganda to kidnap Rwandan refugees. 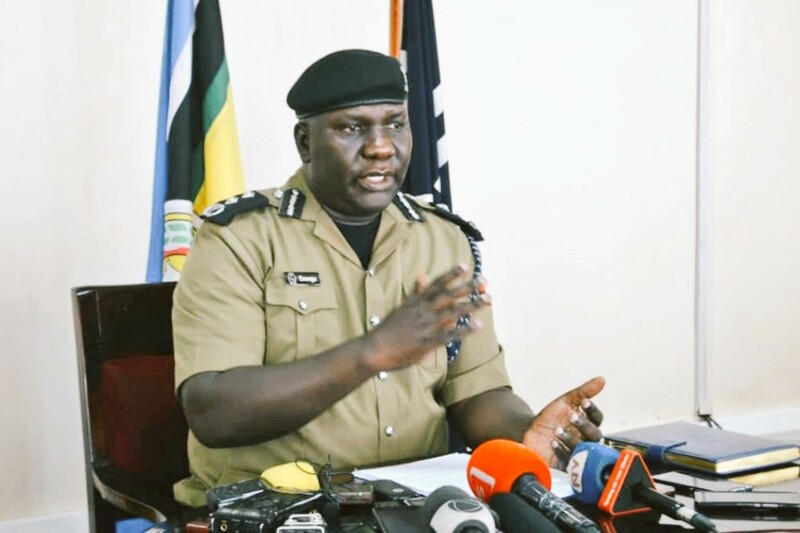 The racket was aided by elements in Uganda Police Force who have since been sacked by President Museveni and are facing an ongoing court process before the General Court Martial for aiding and abetting kidnapping of refugees and illegal repatriation to Rwanda. One of those in court is a Rwandan, Rene Rutagungira, accused of abduction of President Kagame’s former body guard, Lt Mutabazi and illegally repatriating him to Rwanda. 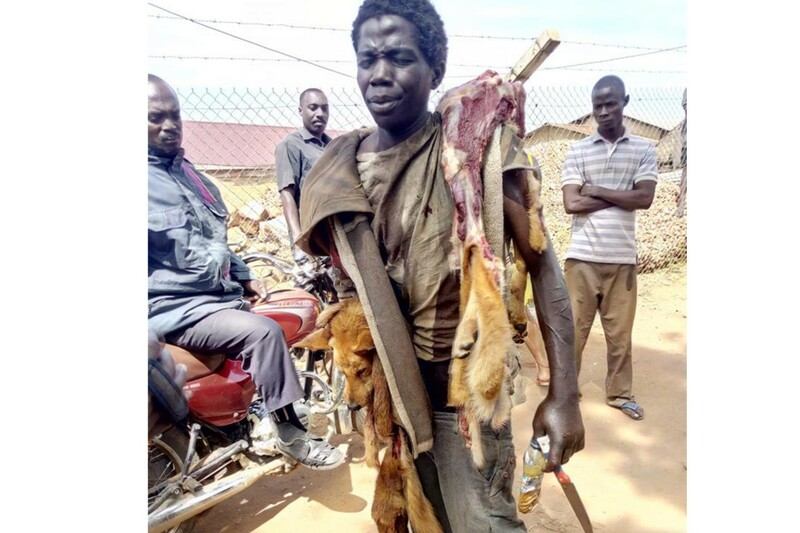 It should be noted that the deaths in Karamoja following alleged food poisoning are happening at a time when relations between Uganda and Rwanda are tense following Uganda’s intense operations in 2018 and this year, to dismantle all Rwanda’s intelligence cells in Uganda and deportation of Rwandan agents accused of various under cover criminal acts that compromised Uganda’s national security. Rwanda has since responded to Uganda’s decisive action against the Rwandan state agents by closing all borders with Uganda and blocking Ugandan traders from accessing Rwanda. Over 100 Ugandan cargo trucks have for weeks been stranded, some with perishable products, even after Rwandan Revenue Authority received their tax payments. 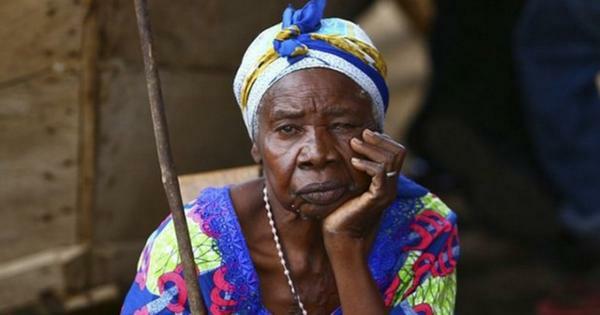 Rwanda has also slapped a travel ban against its citizens moving to Uganda. Many Rwandans have, however, been seen desperately crossing into Uganda some through water bodies after Rwanda dismantled all bridges into Uganda.